The vehicle you see here can’t be called an SUV, though it’s not a hatchback either, because it’s lifted too high form the ground. Let’s say it’s a hatchback with several crossover characteristics. More precisely, it’s the cheapest small crossover we’ve ever seen so far. The vehicle has been sold in India and it’s priced at approximately $4,000. 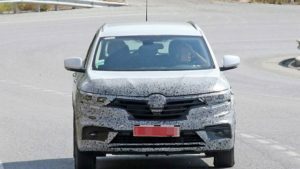 The testing prototype of the 2019 Renault Kwid is definitely getting a mid-cycle facelift. The job should be done before the end of the year, so the refreshed tiny crossover is going to become available early next year. 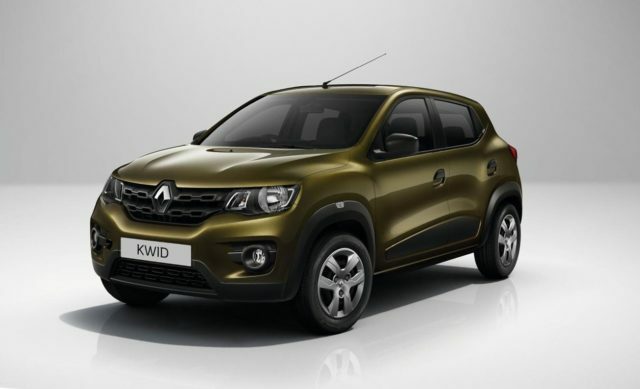 So far, the Kwid nameplate was available in some parts of Asia and South America, but the updated vehicle may also come to Europe. The carmaker hasn’t confirmed the possibility year. Still, this particular prototype has been spotted testing in the Old Continent, so it may become available home as well. In any case, the 2019 Kwid is going to receive a revised exterior and interior design. From the outside, the small car is getting a restyled bumper and new fog lamps, but it keeps the grille untouched. The rear end will host a new bumper and perhaps redesigned taillights, while everything else stays untouched for now. Though, the automaker may add a few additional color options which will make it more attractive. The crossover will likely host several interior changes as well. 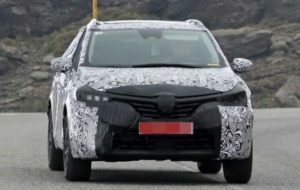 Though the spy shots don’t reveal any cabin details, so it’s hard to figure out what’s going to be new. As far as we think, the cheap cab may only receive some styling tweaks, but without anything too pushy. Under the hood, the crossover-inspired hatchback is going to keep the small and impotent 0.8-liter engine. The unit currently makes just 57 horsepower which supplies front wheels only via a five-speed manual gearbox. If the crossover-hatch becomes available in Europe the automaker may reconsider a more potent option as well. More precisely, the Euro-specs 2019 Renault Kwid will be paired with the recently revised turbo 0.9-liter engine, while the topper should receive the new turbocharged 1.3-liter mill. Since it’s getting just a mid-cycle facelift, the 2019 Kwid will continue to use the familiar CMF-A platform. This is not bad at all because thus the vehicle provides class-leading interior space. Well, at least the carmaker claims that. Though, we are not quite sure where this nameplate belongs.